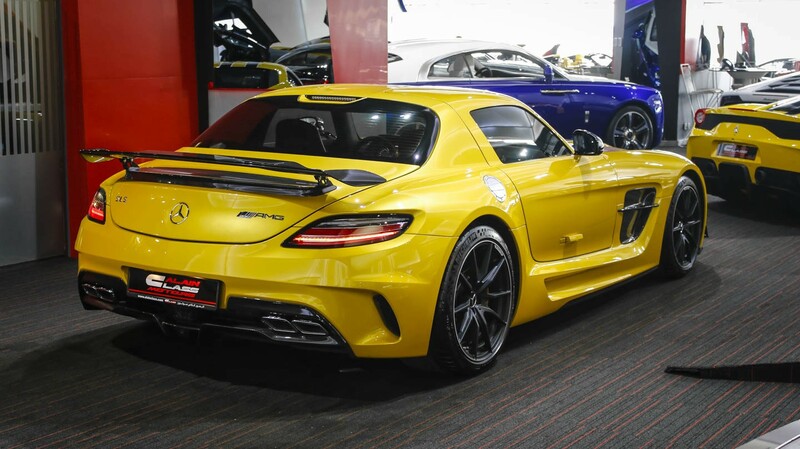 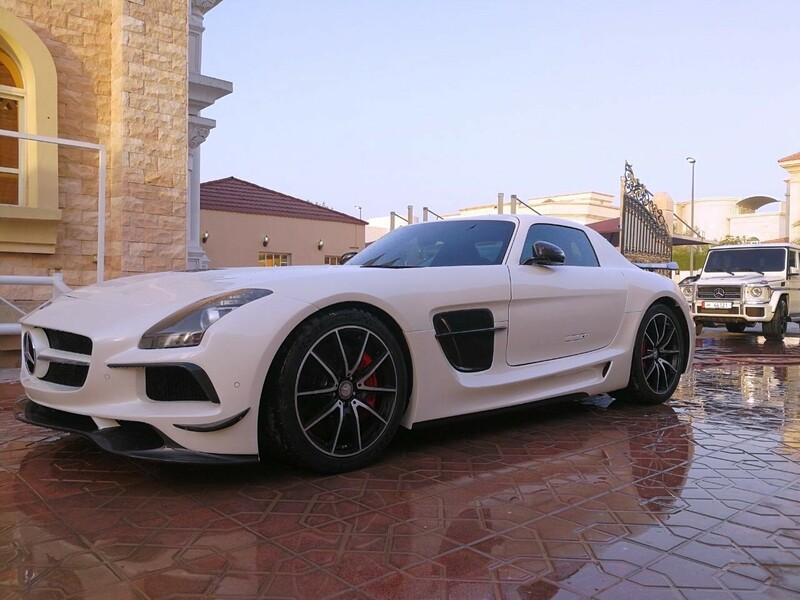 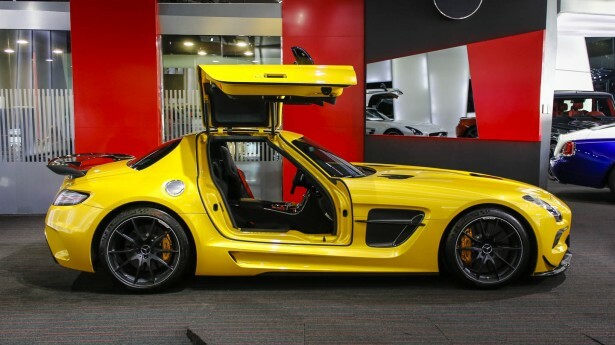 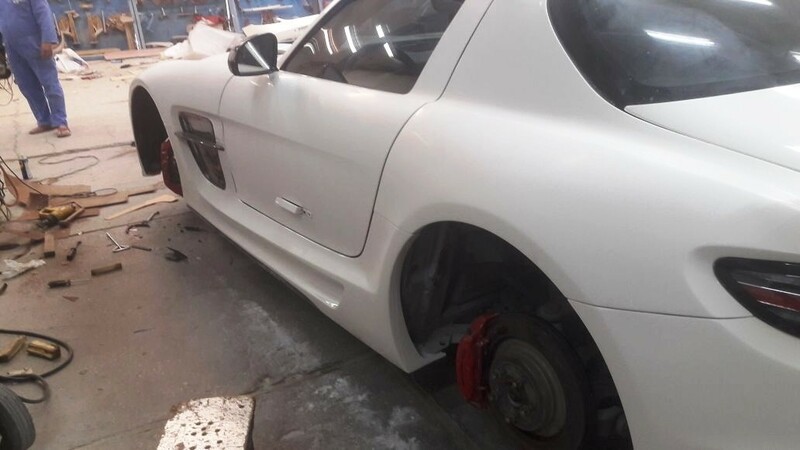 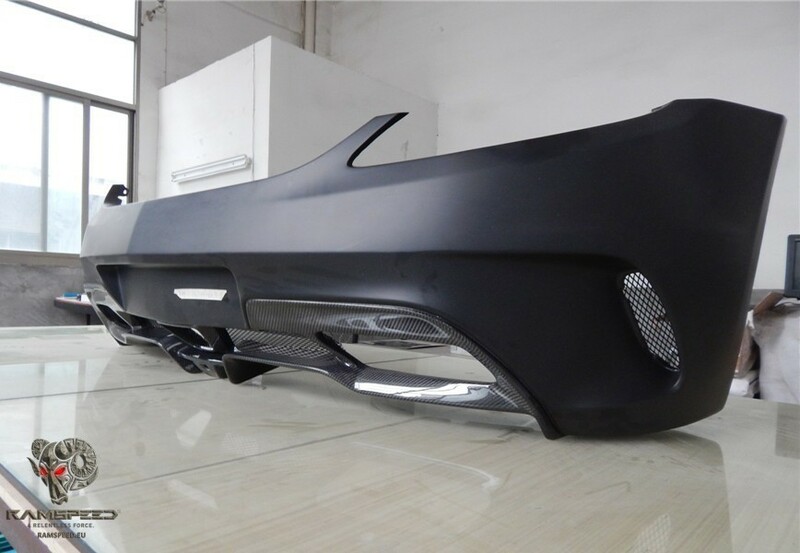 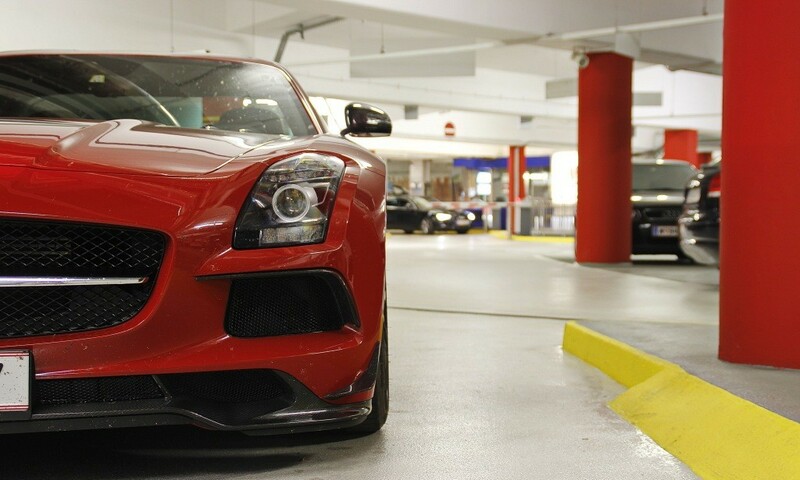 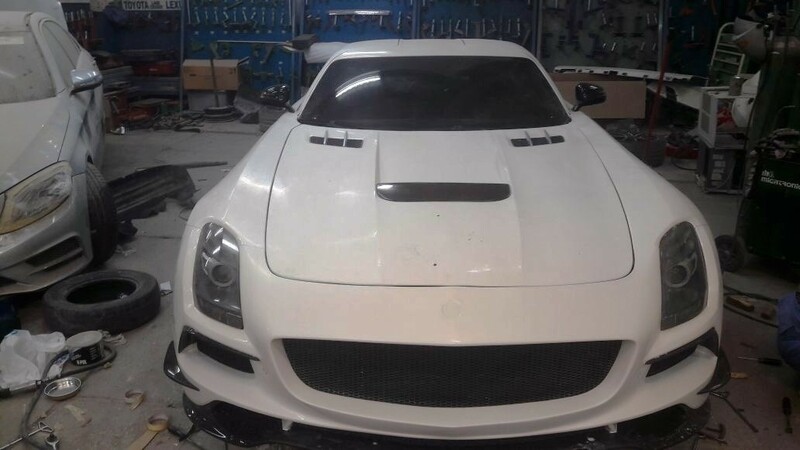 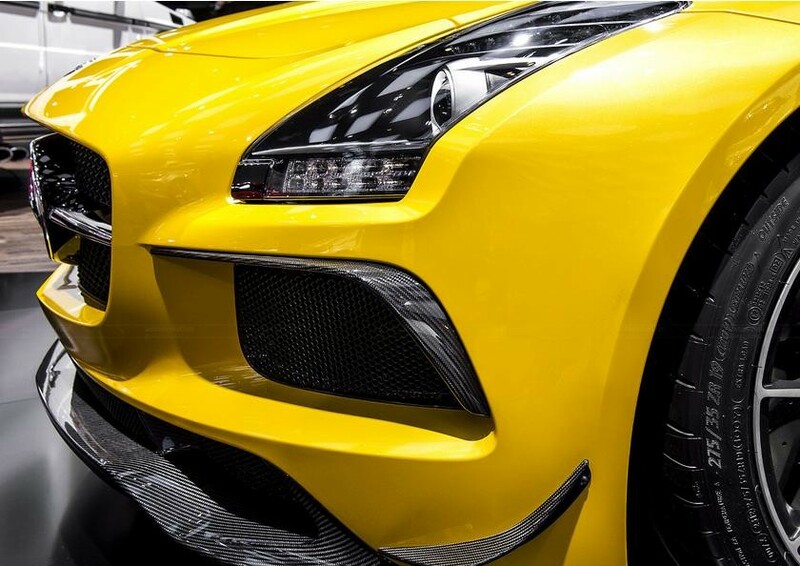 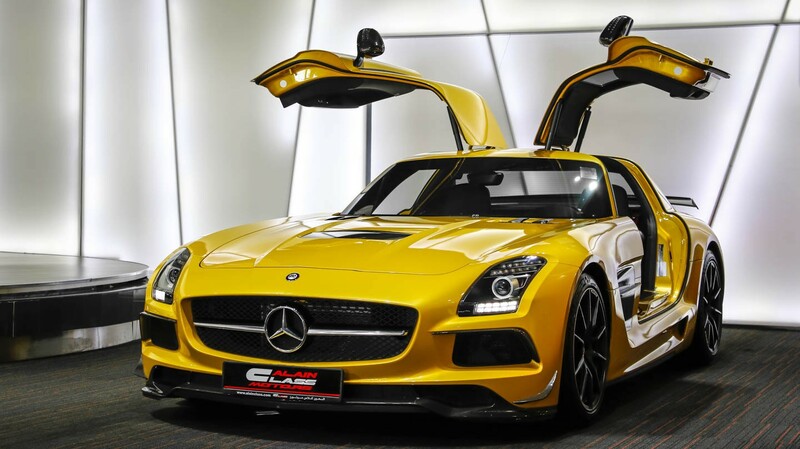 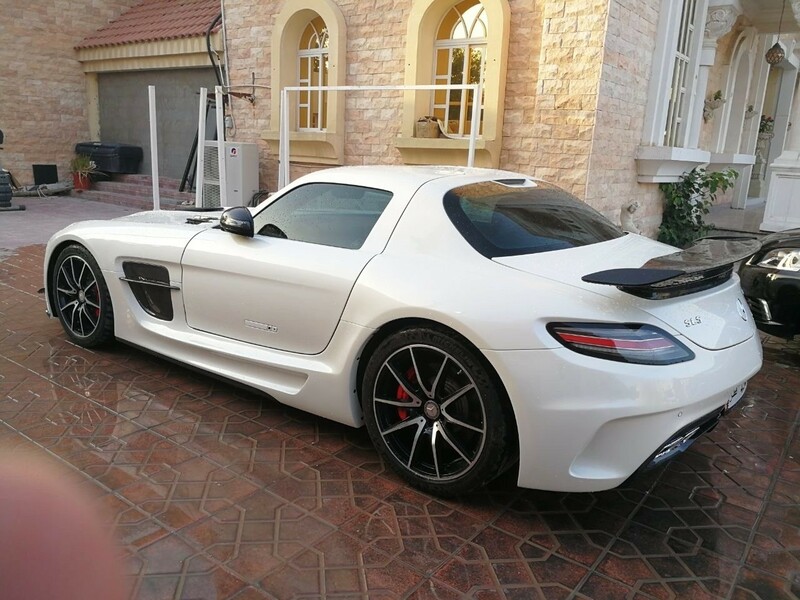 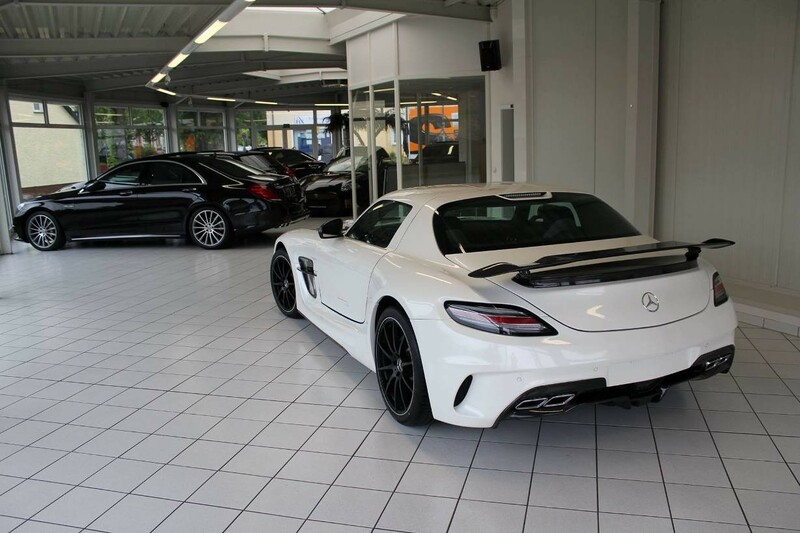 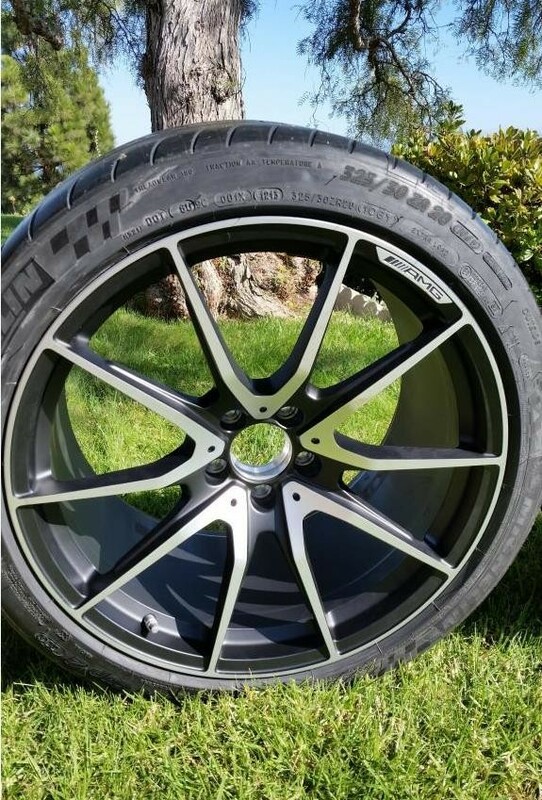 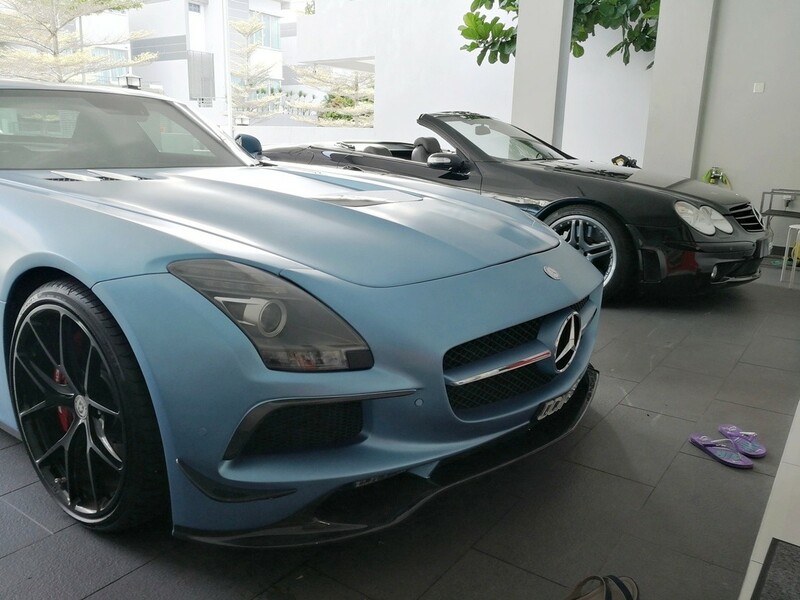 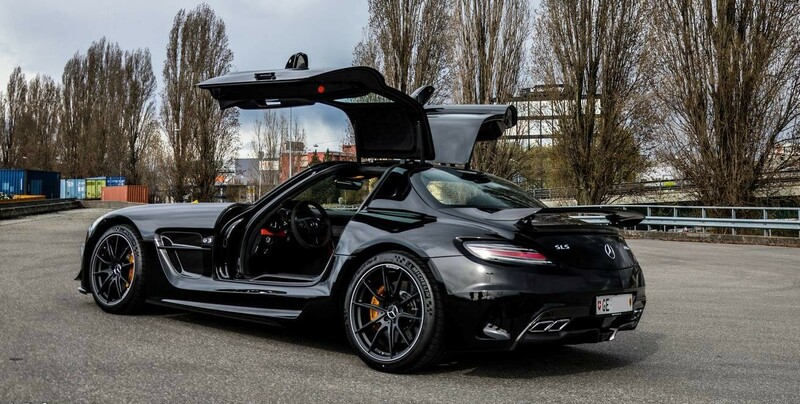 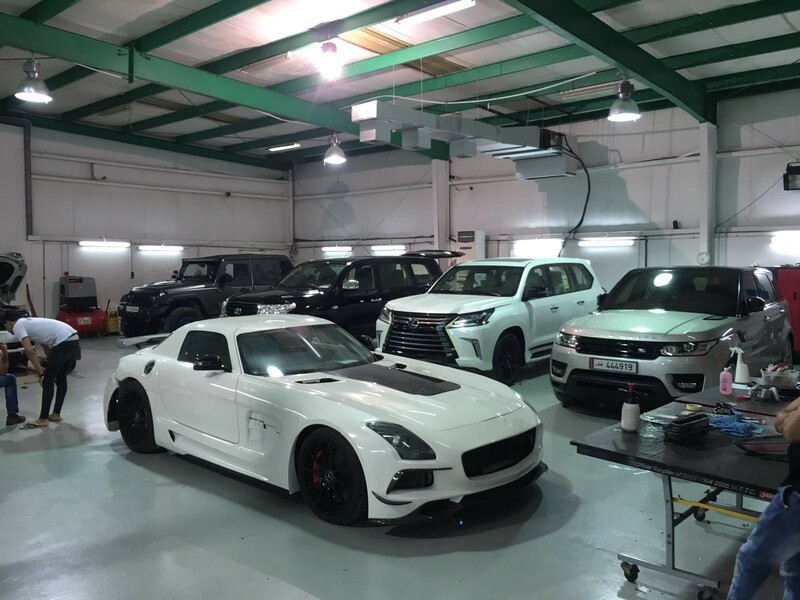 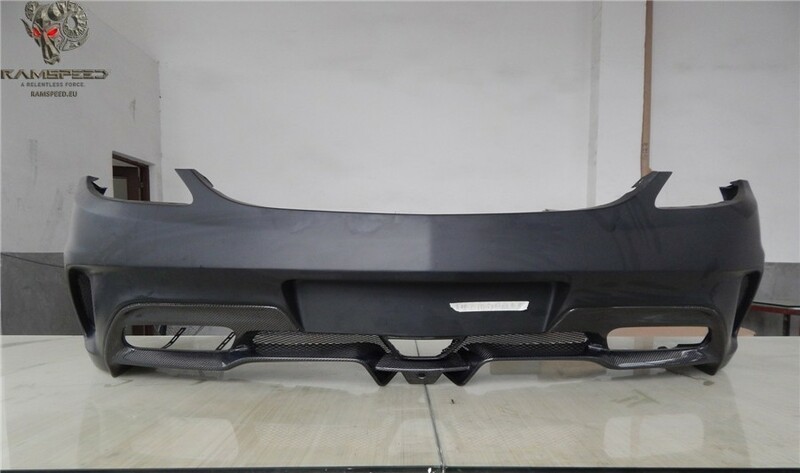 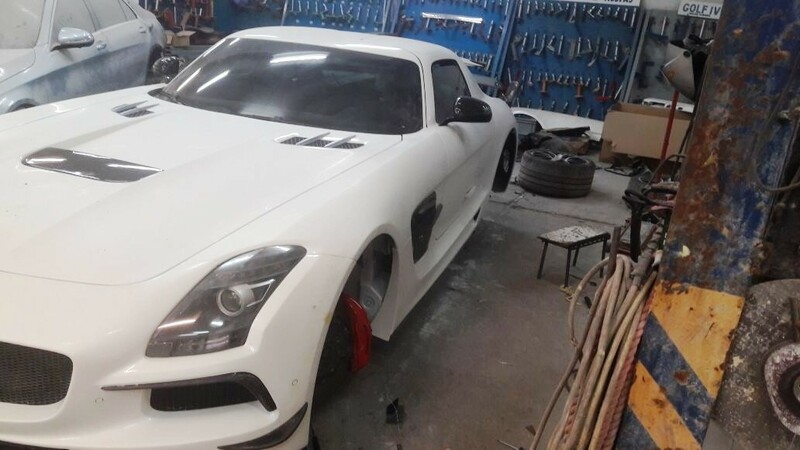 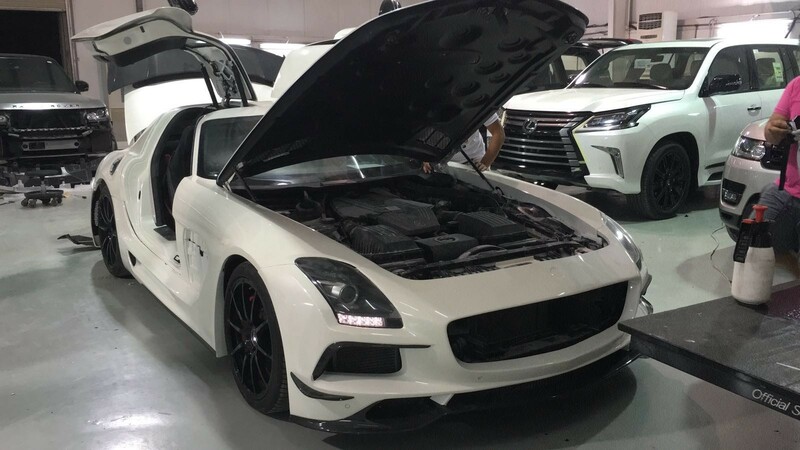 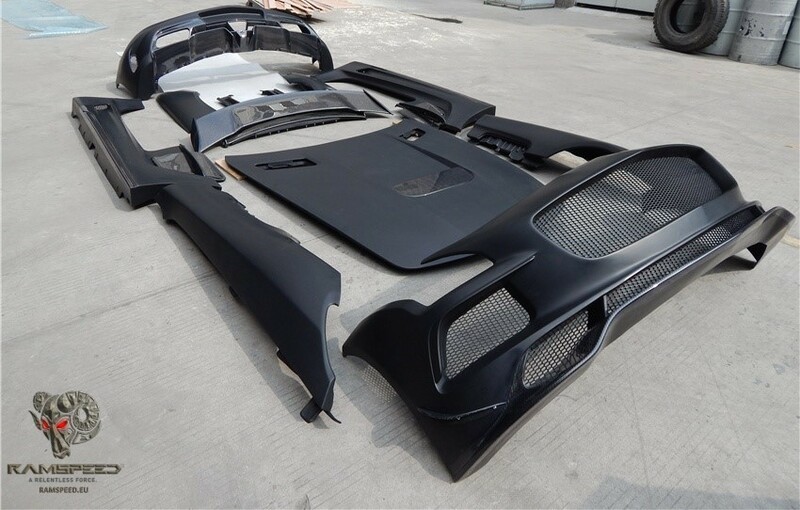 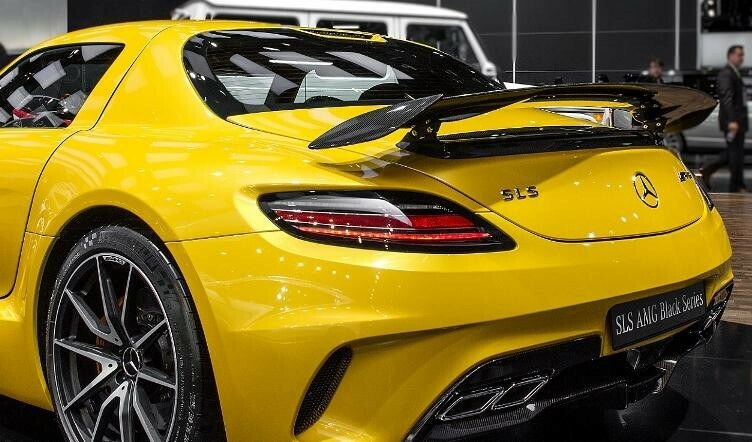 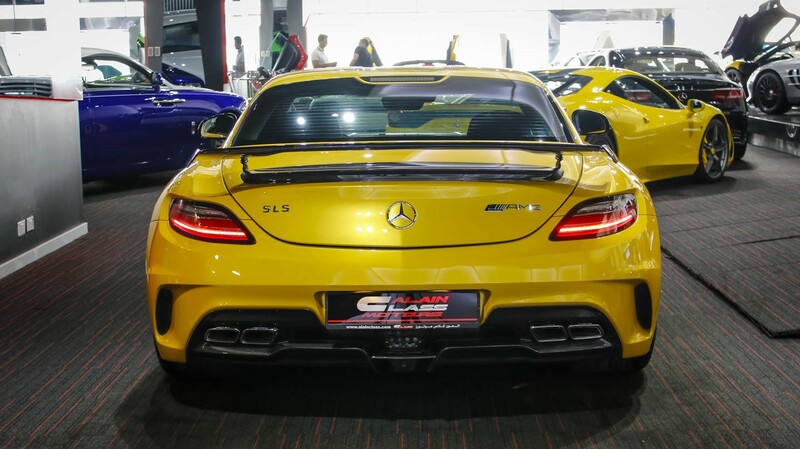 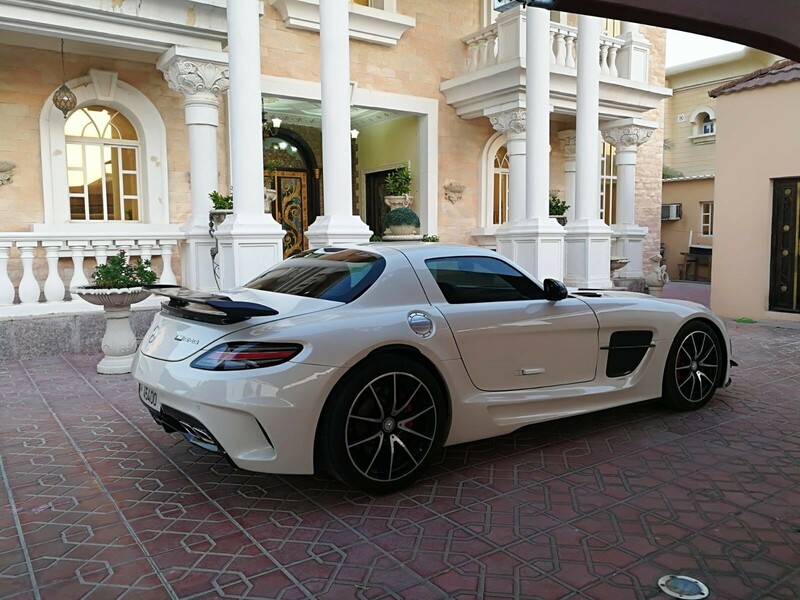 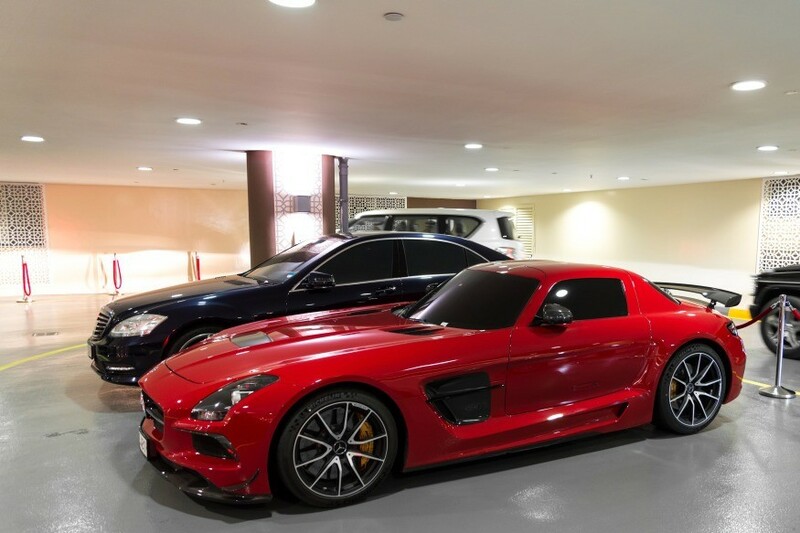 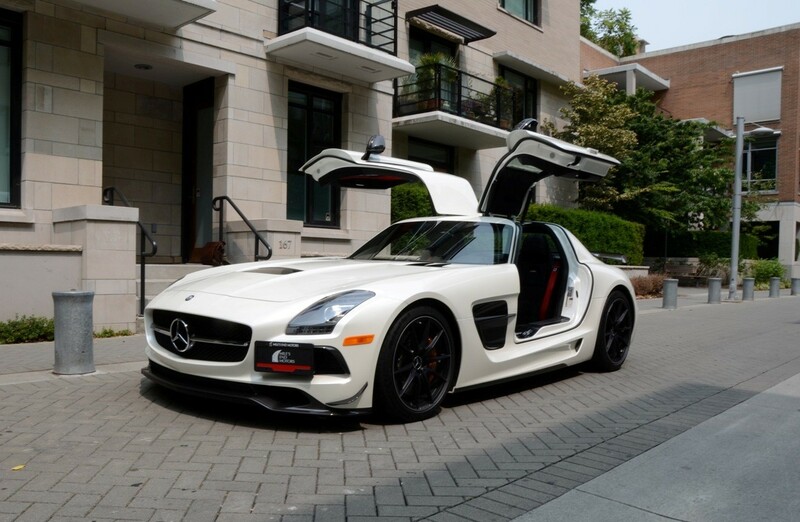 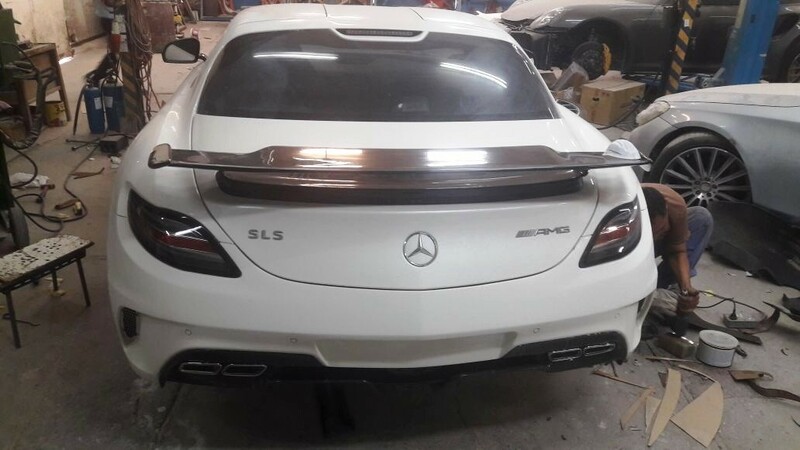 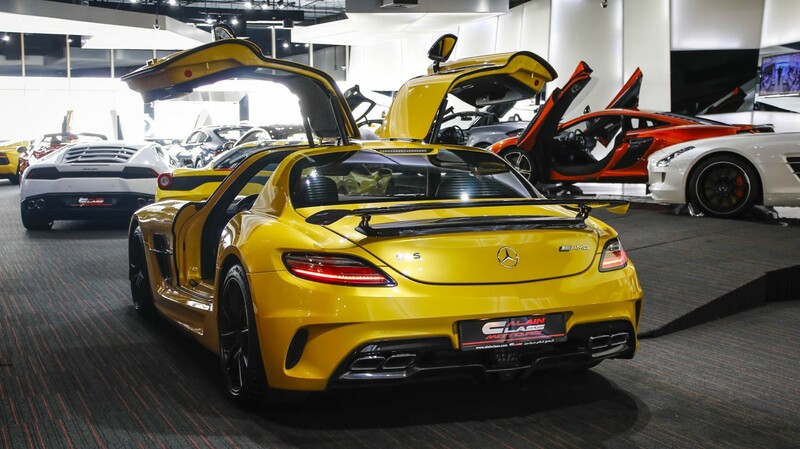 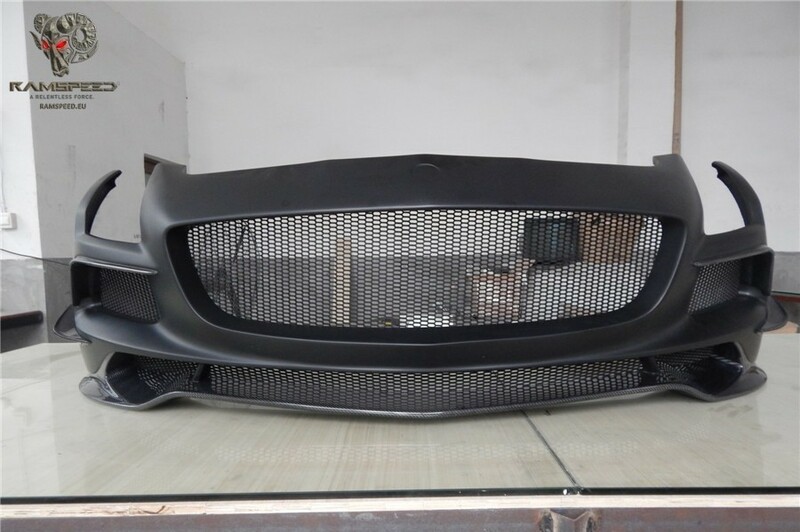 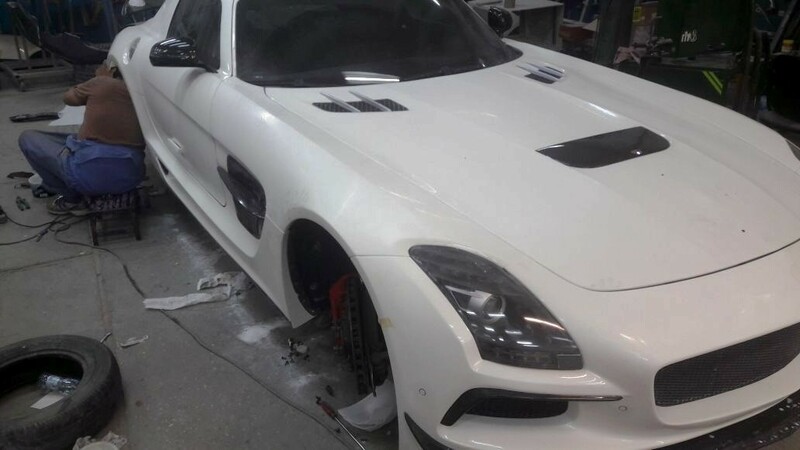 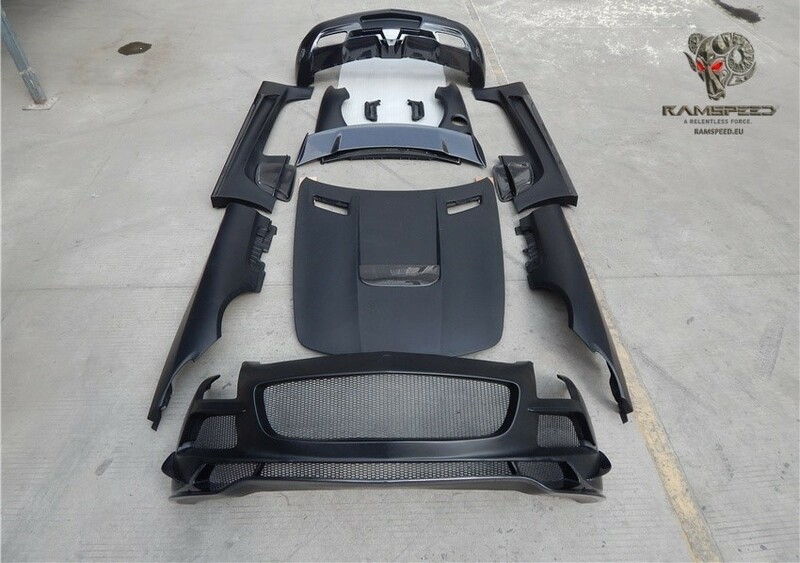 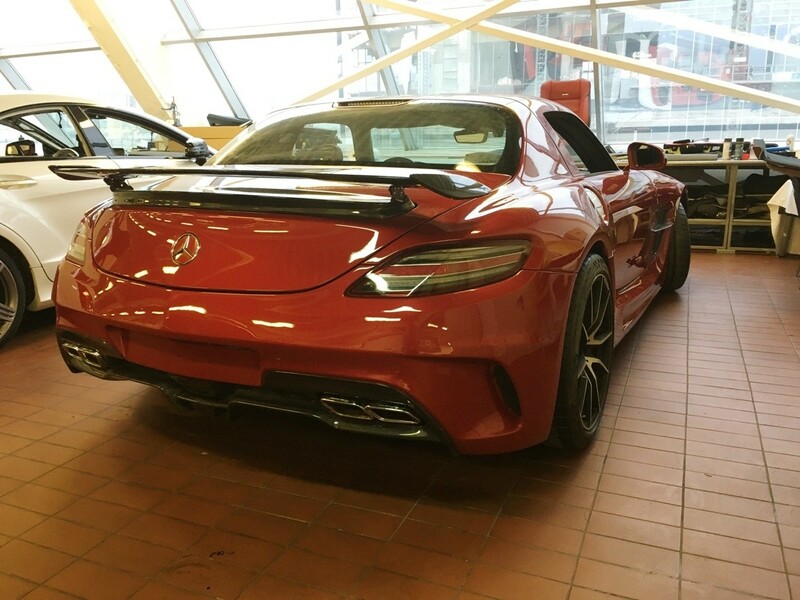 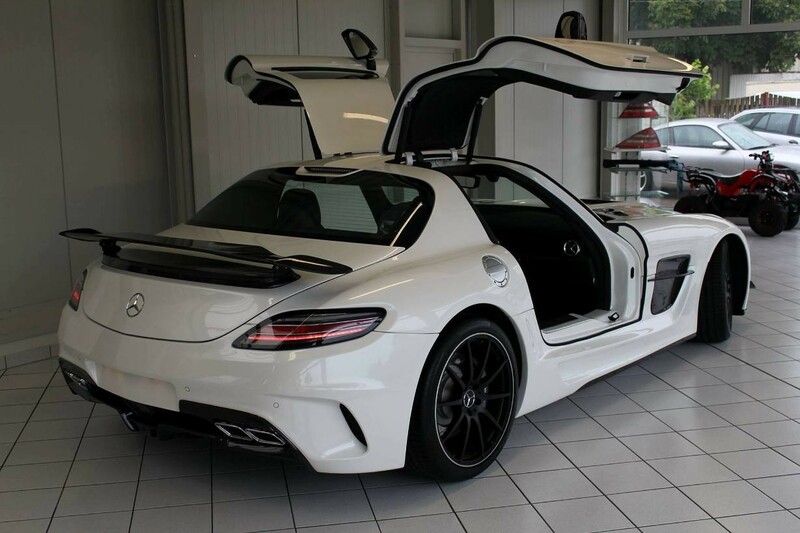 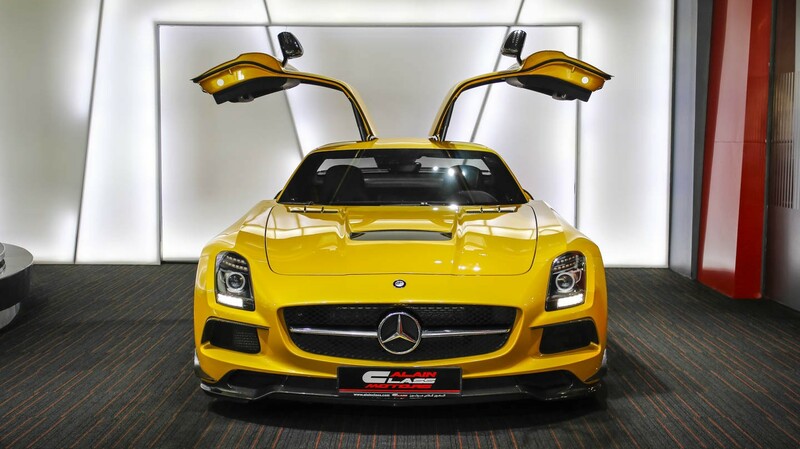 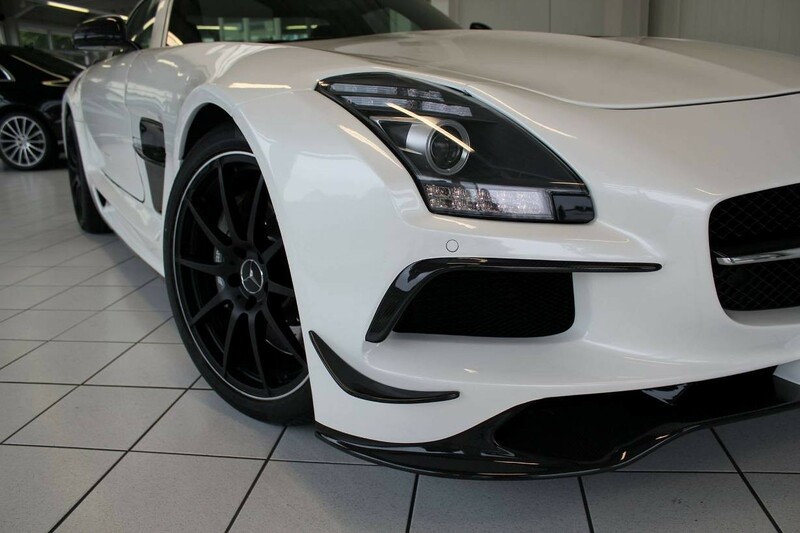 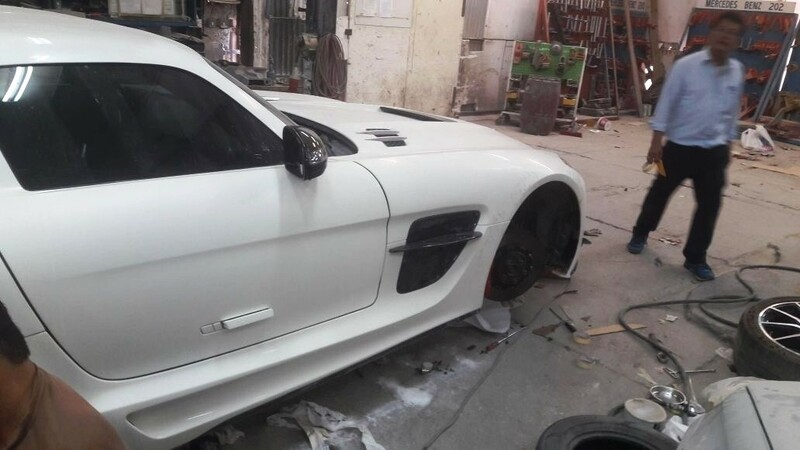 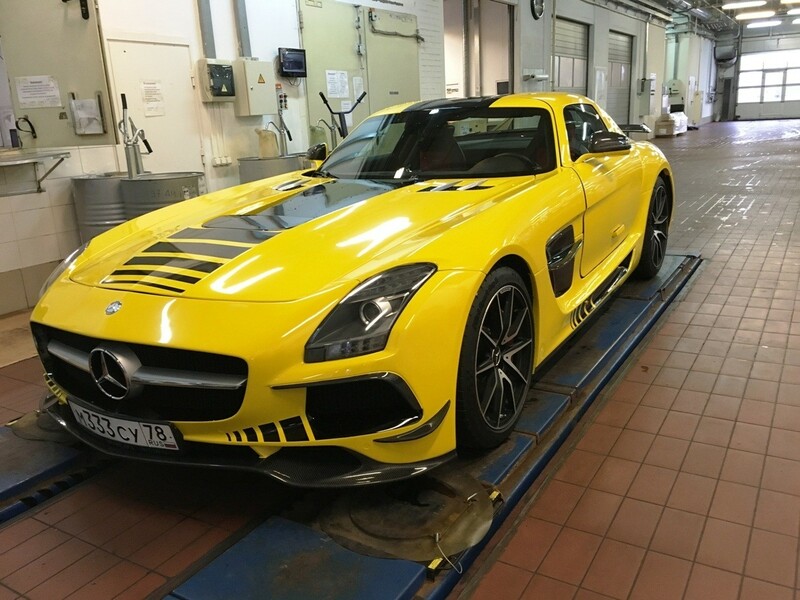 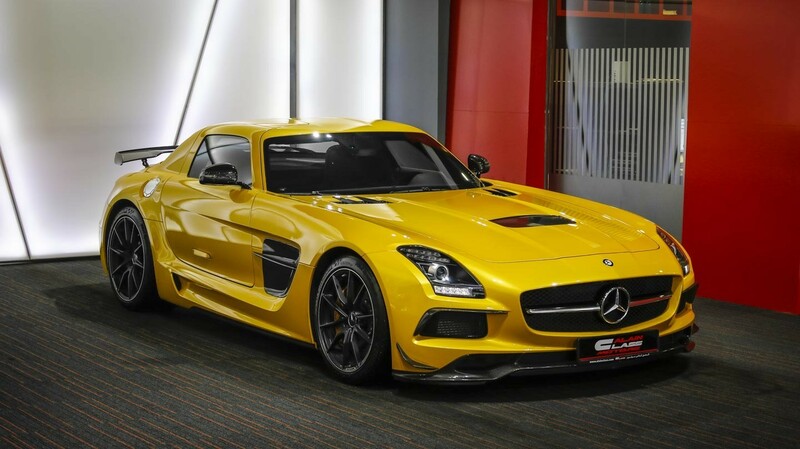 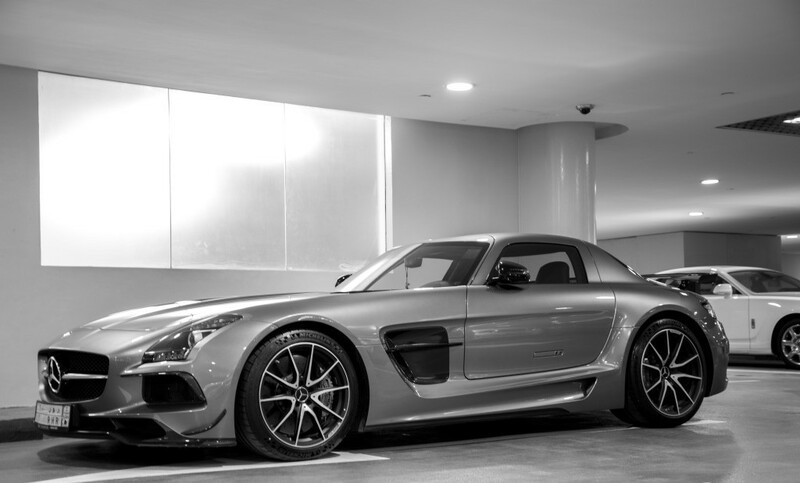 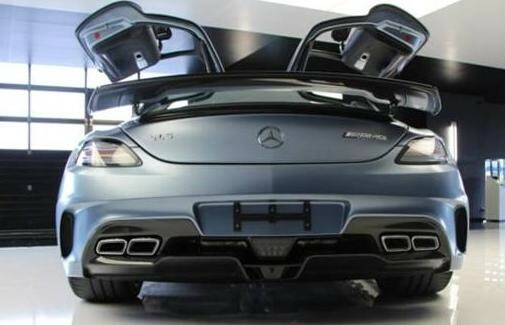 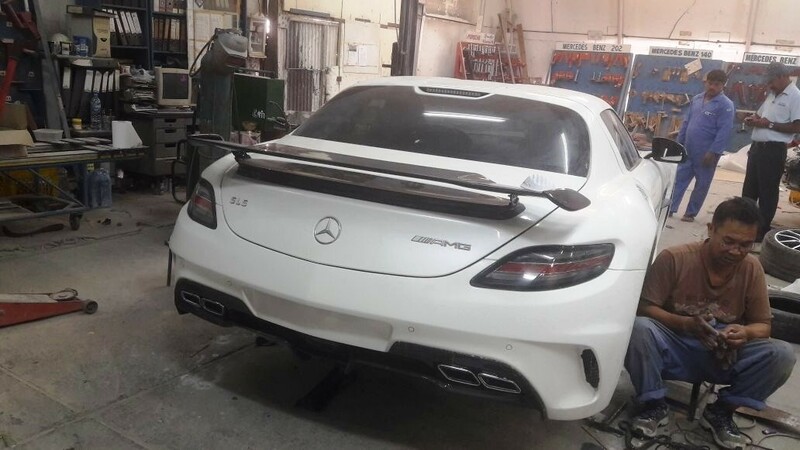 Mercedes SLS AMG Black Series Kit comes with carbon fiber accents including front lip spoiler, 2 carbon side canards/winglets on front bar, rear trunk wing spoiler in carbon fiber, carbon fiber diffuser, carbon fiber side fender vents as well as part carbon panels in side skirts and bonnet / hood. 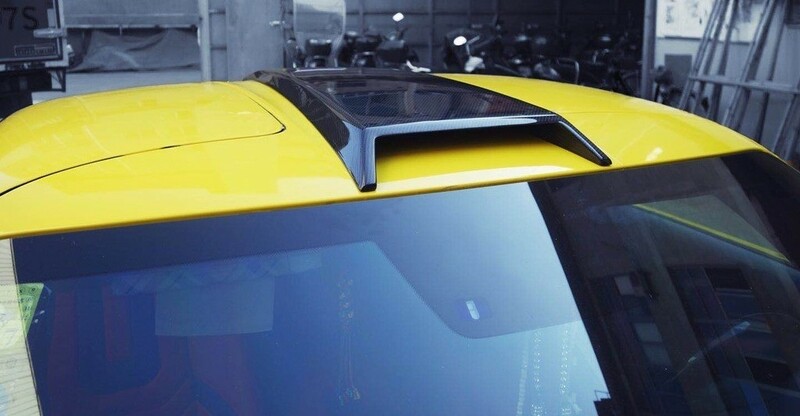 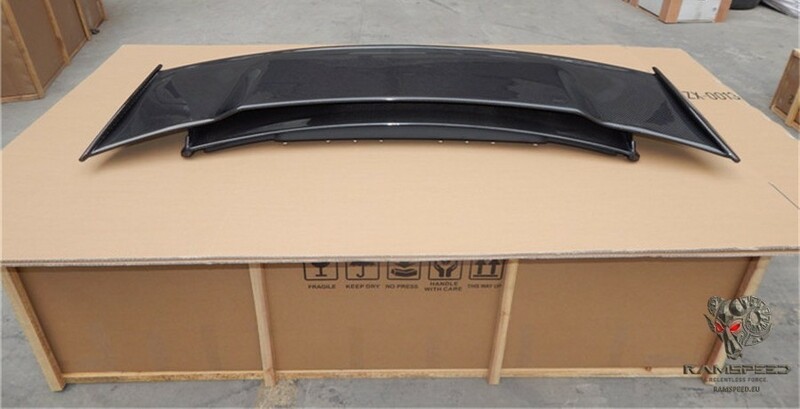 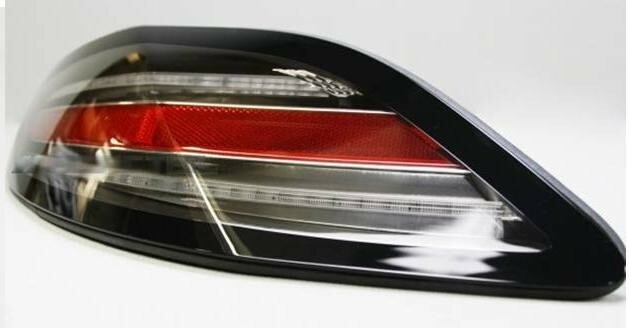 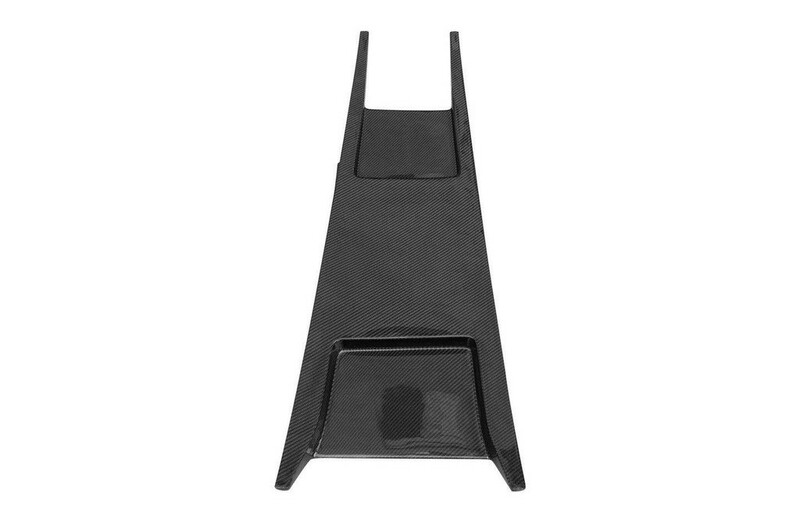 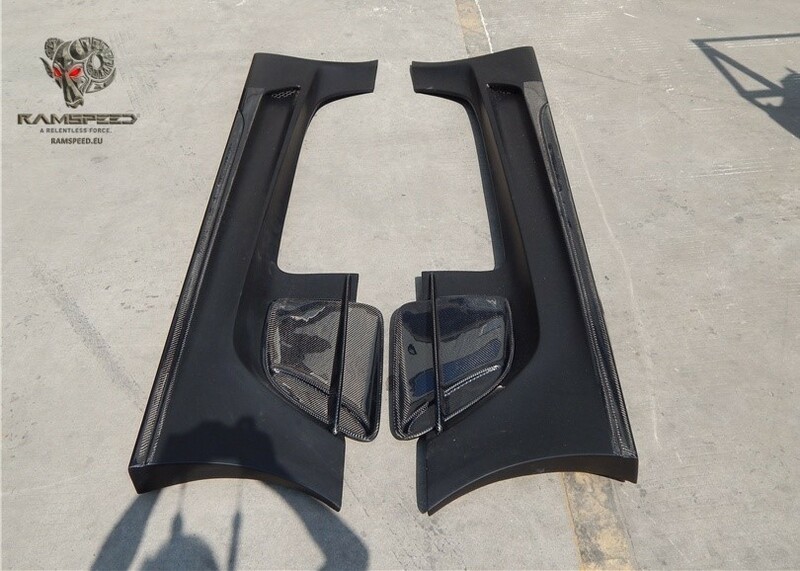 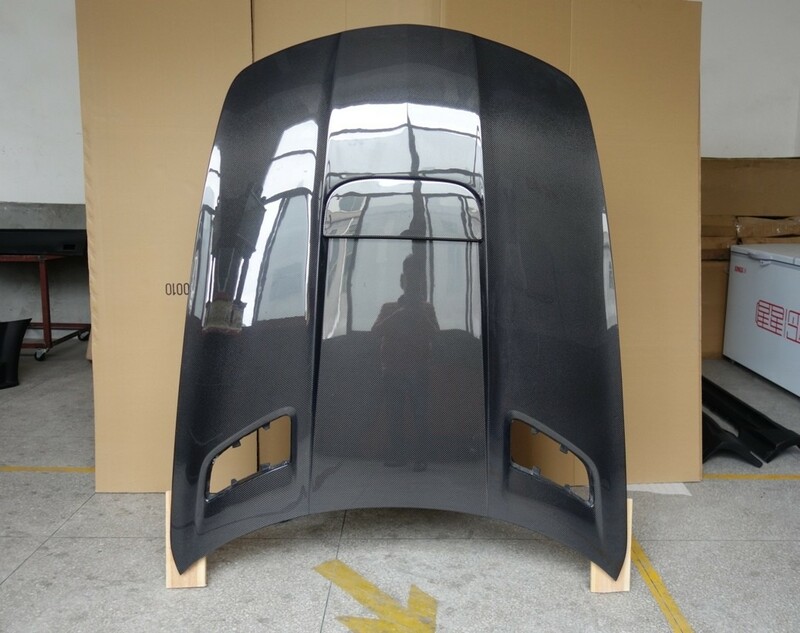 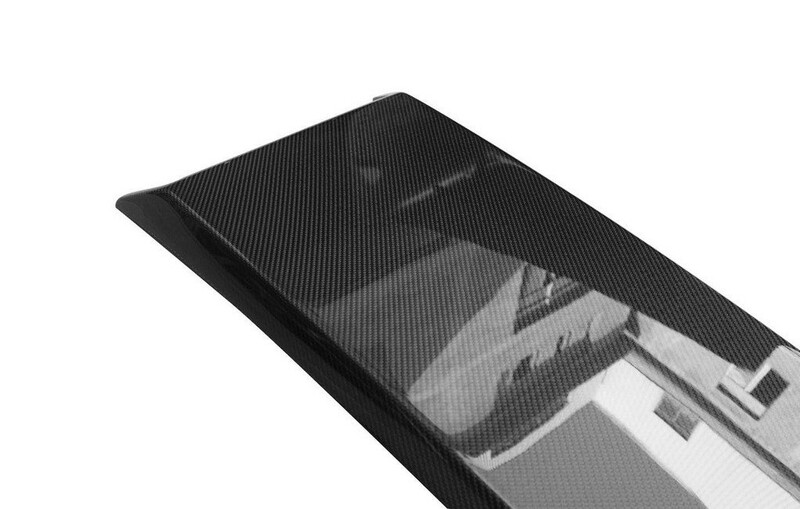 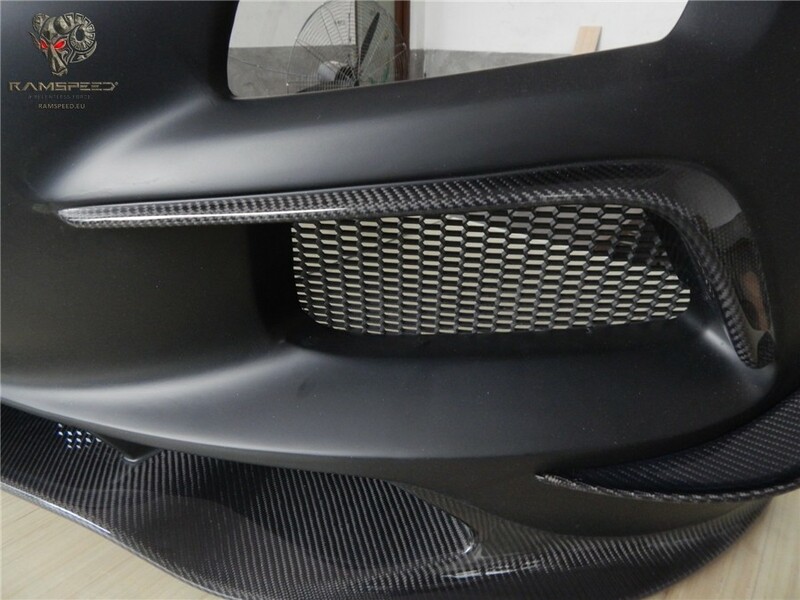 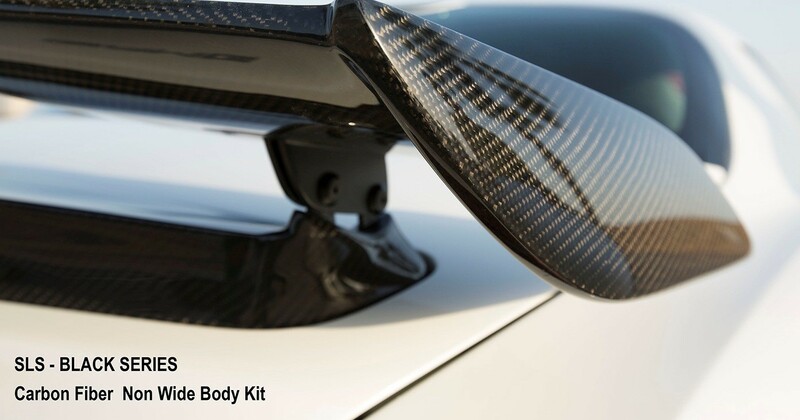 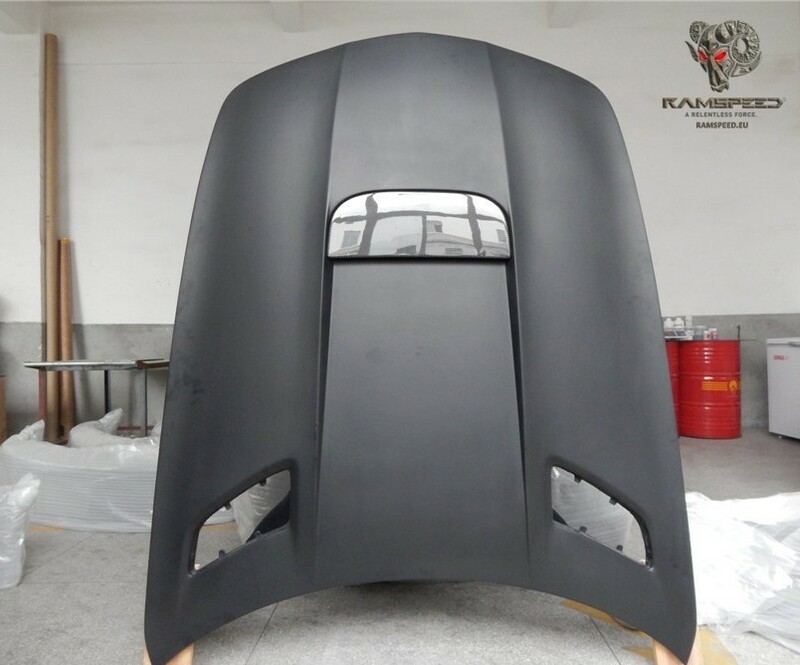 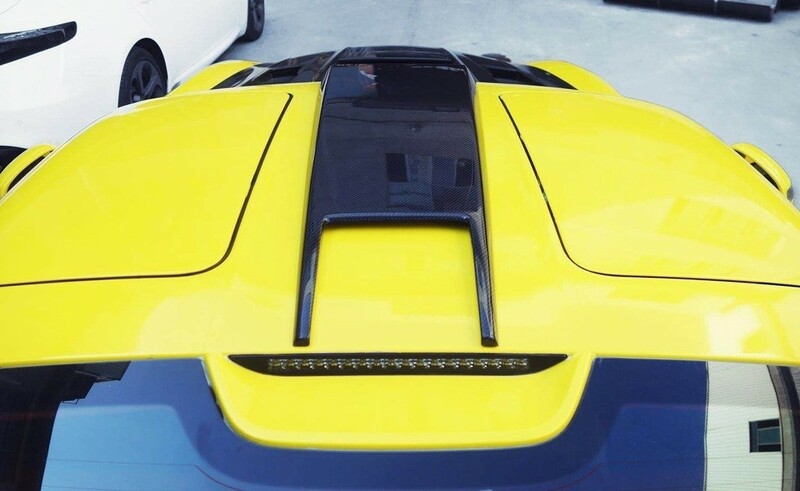 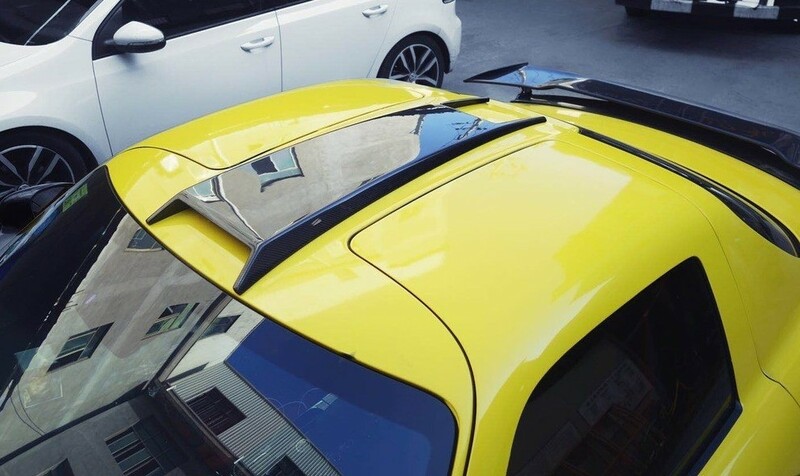 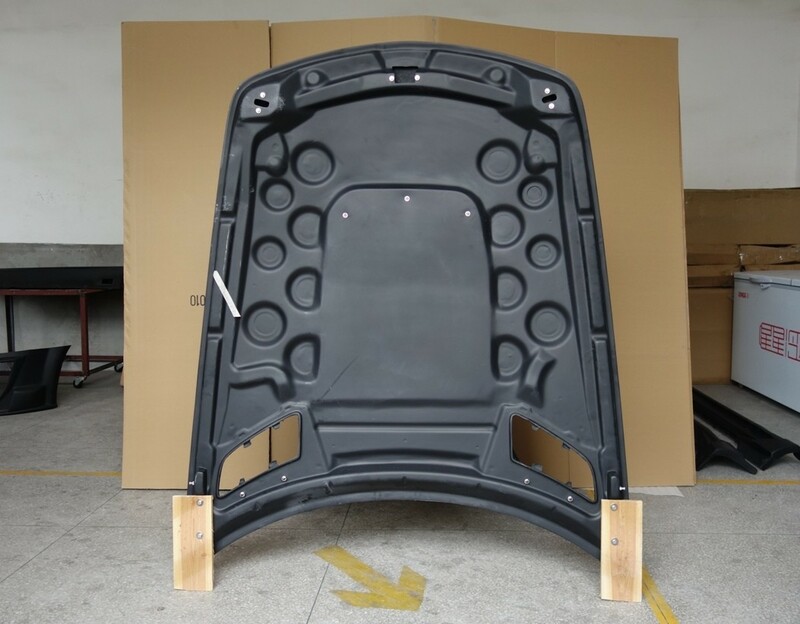 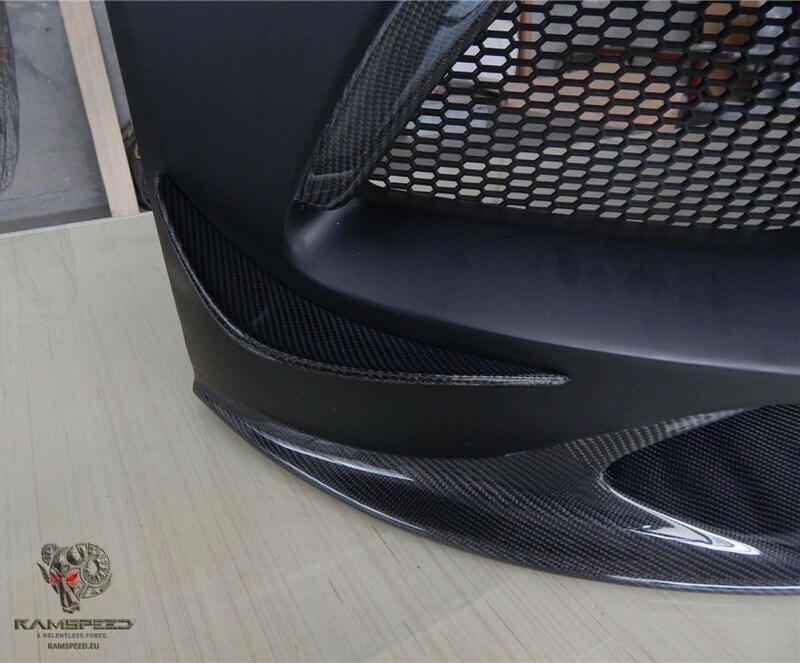 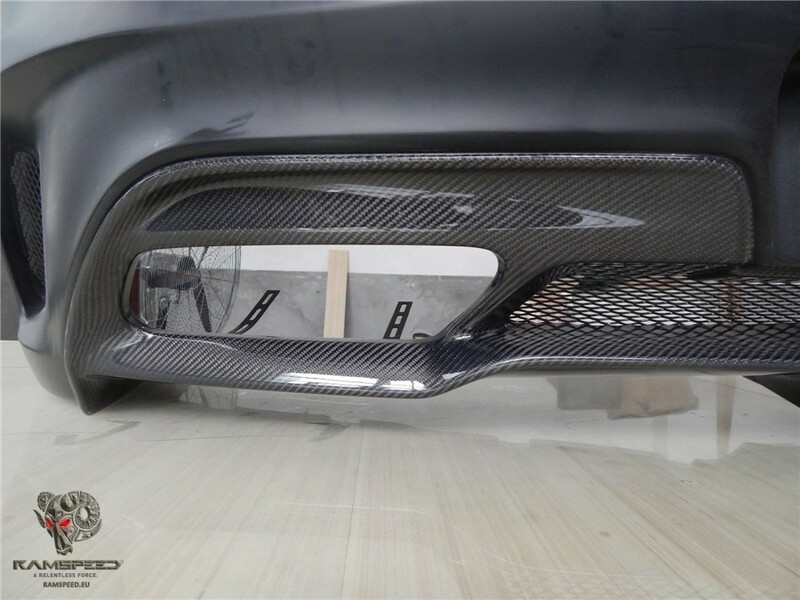 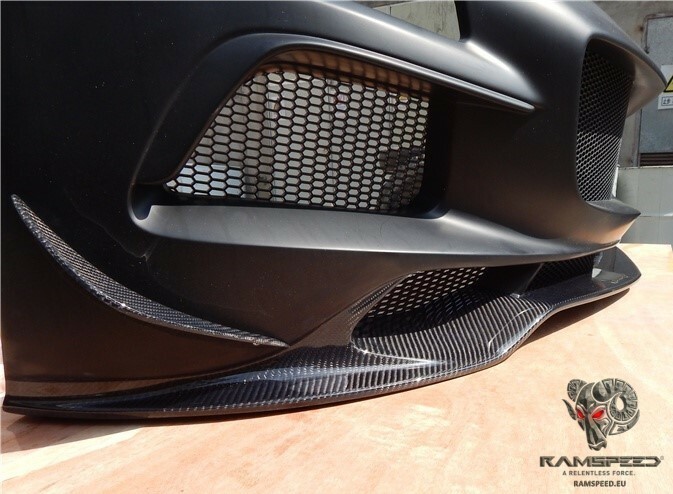 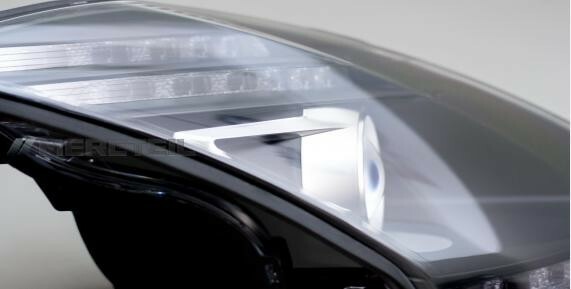 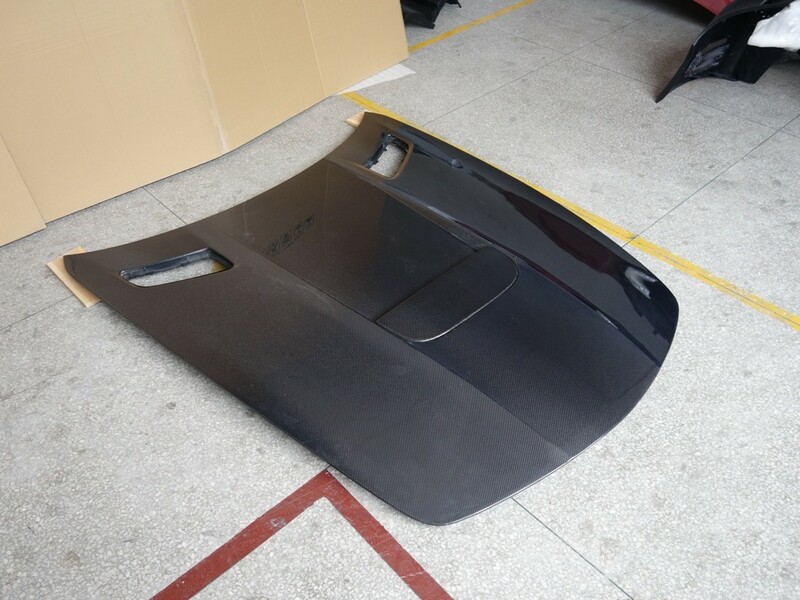 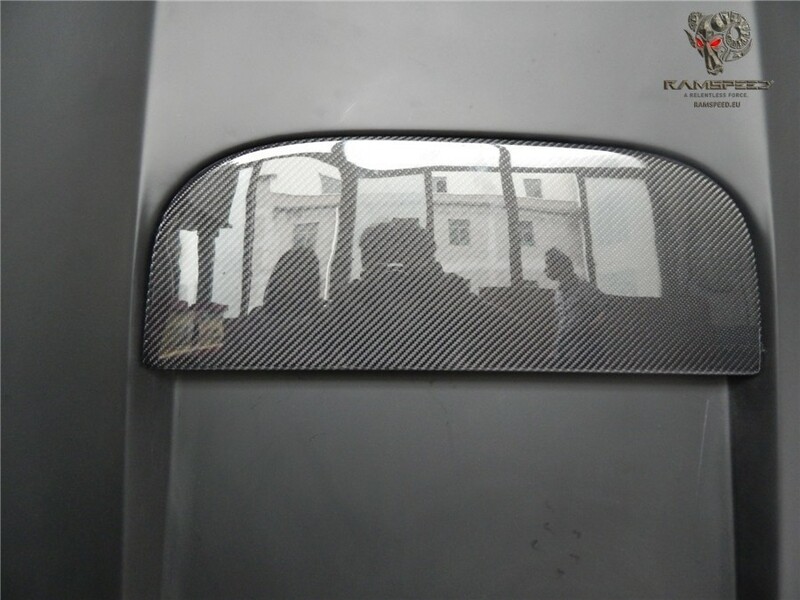 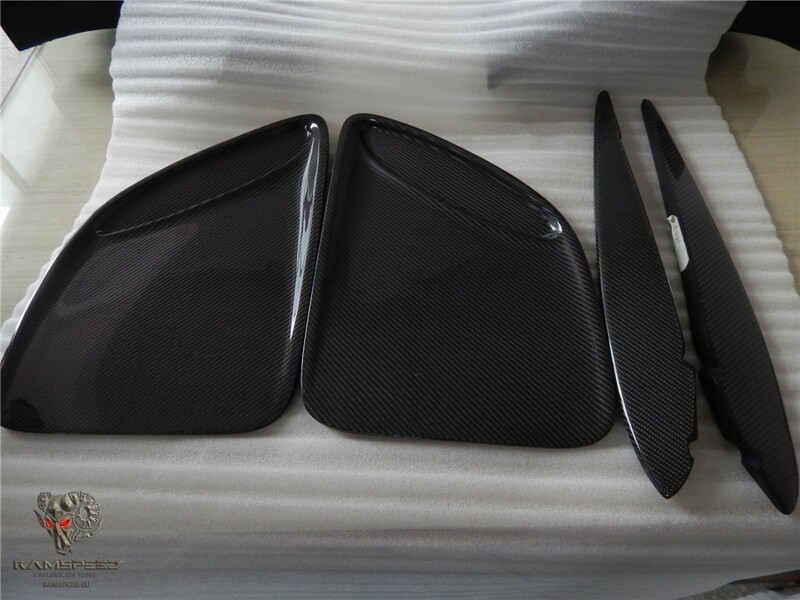 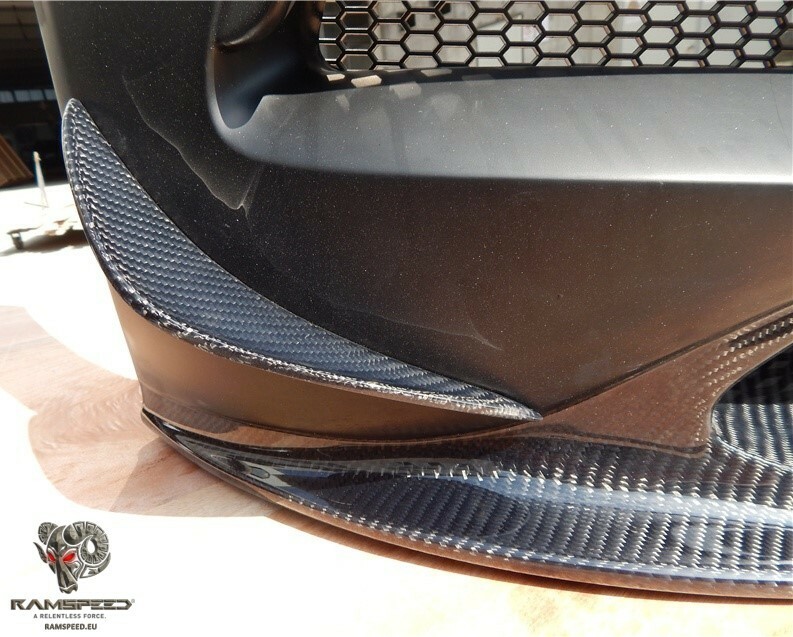 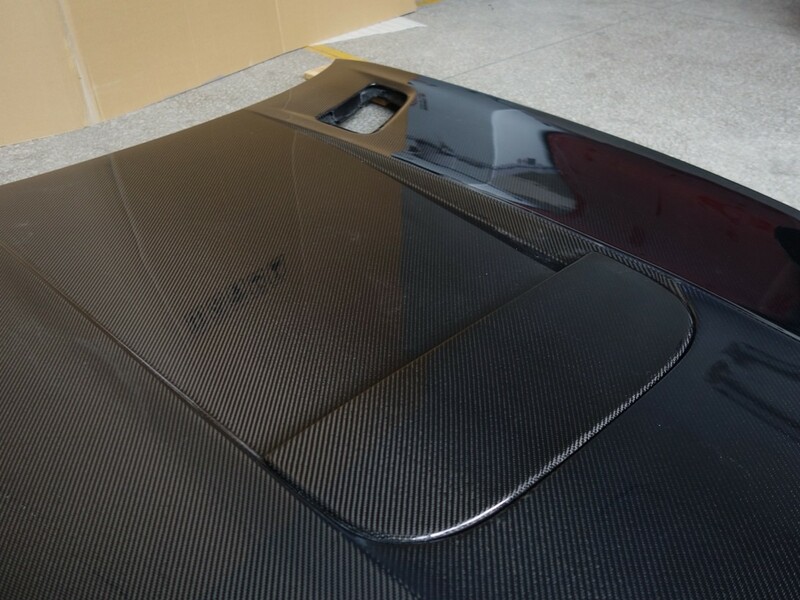 Bonnet comes with carbon center air vent or can be produced in full carbon fiber. 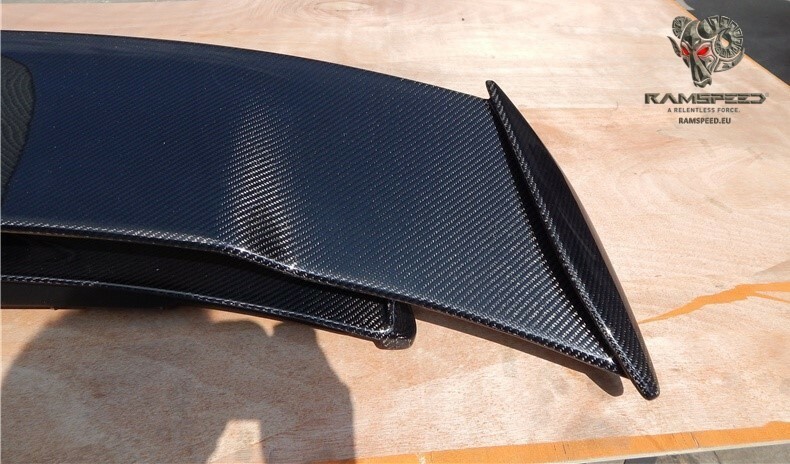 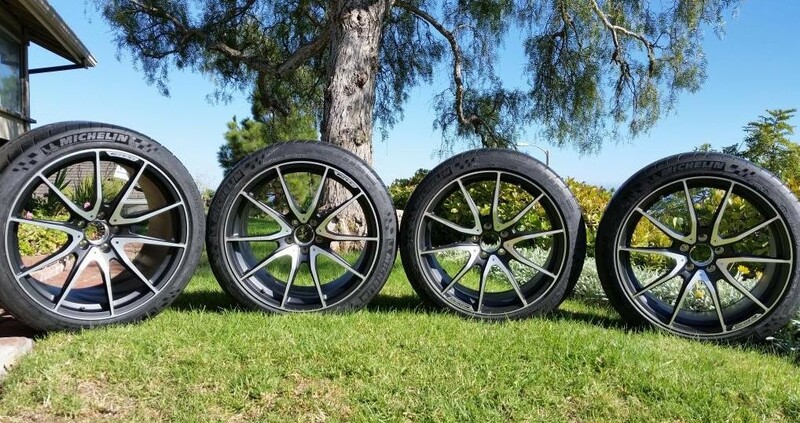 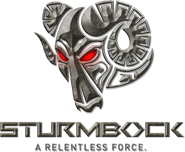 A Non-carbon version is also available or you can choose which parts you would like in carbon. 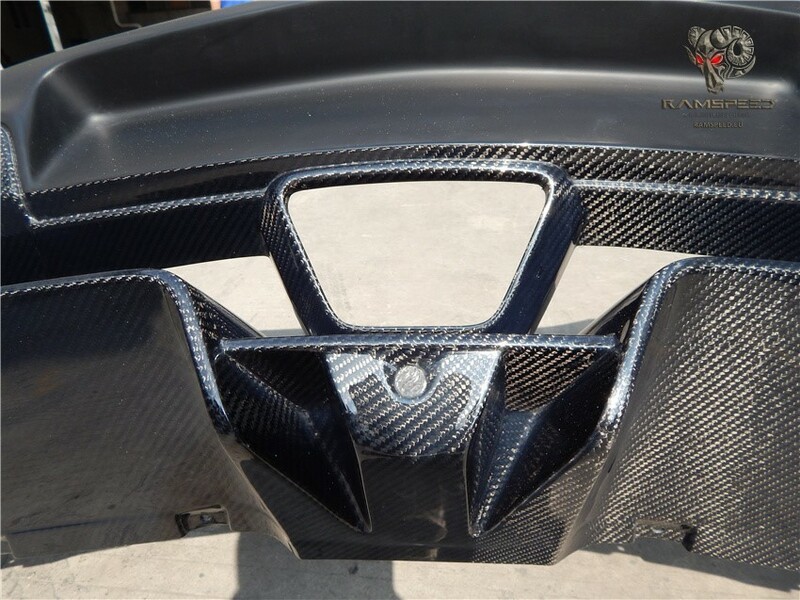 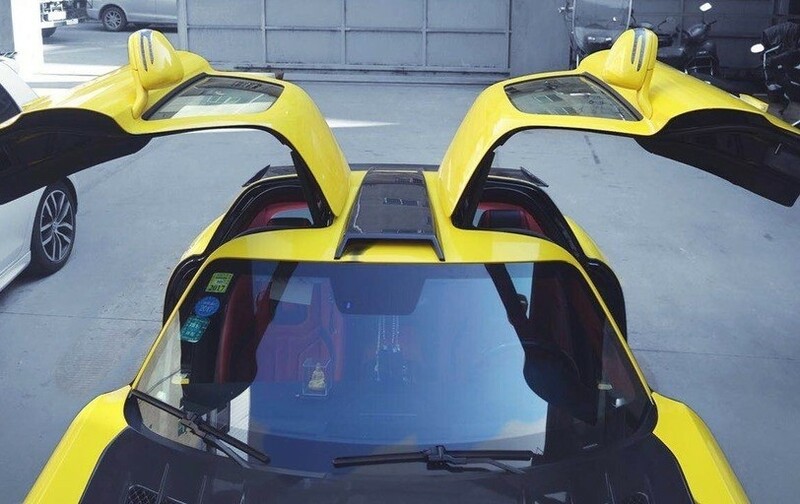 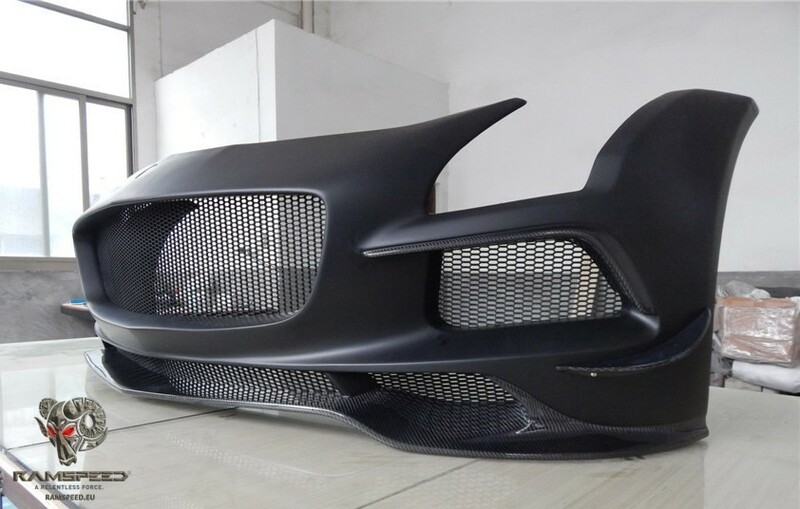 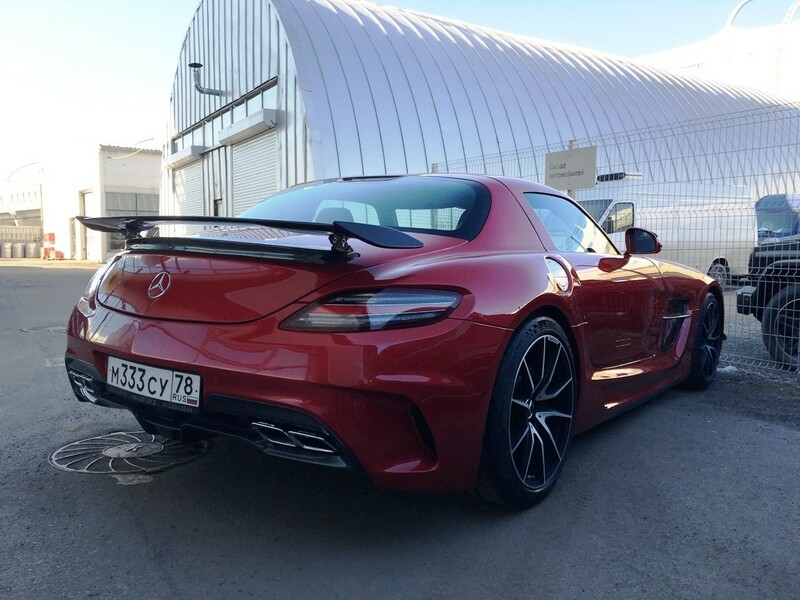 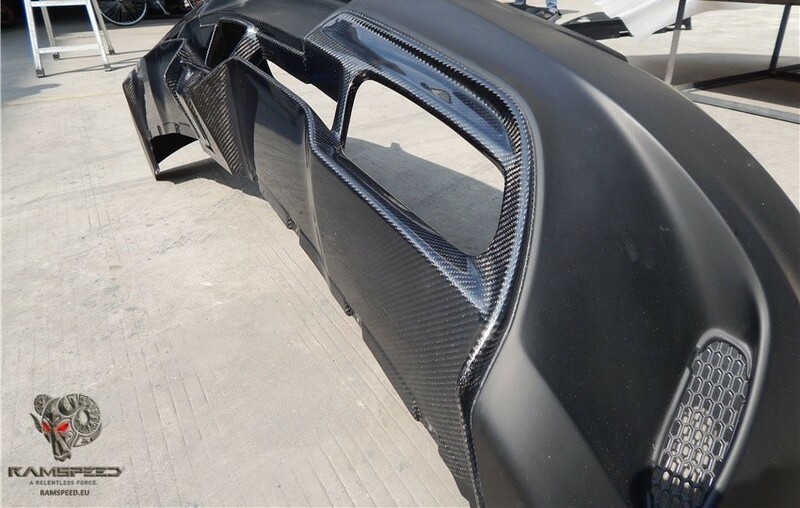 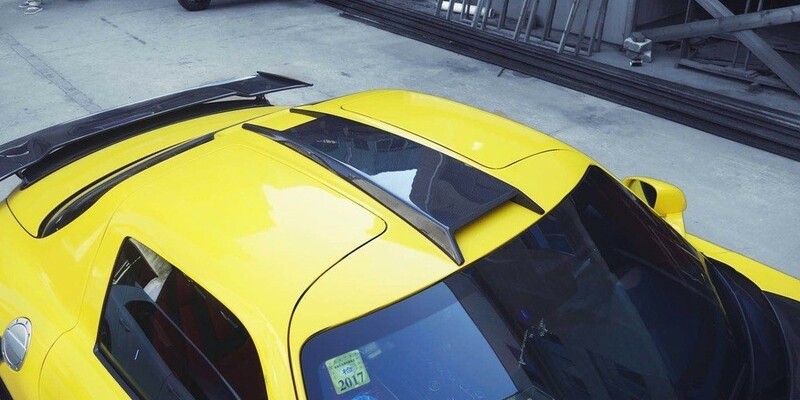 Rear wing is only available in full carbon fiber. 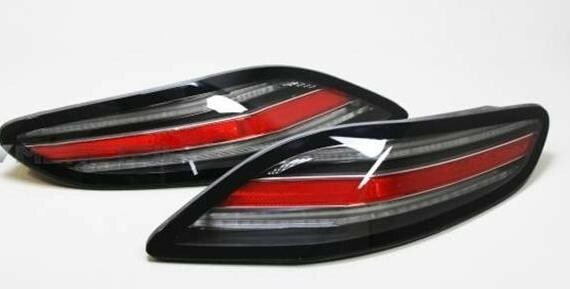 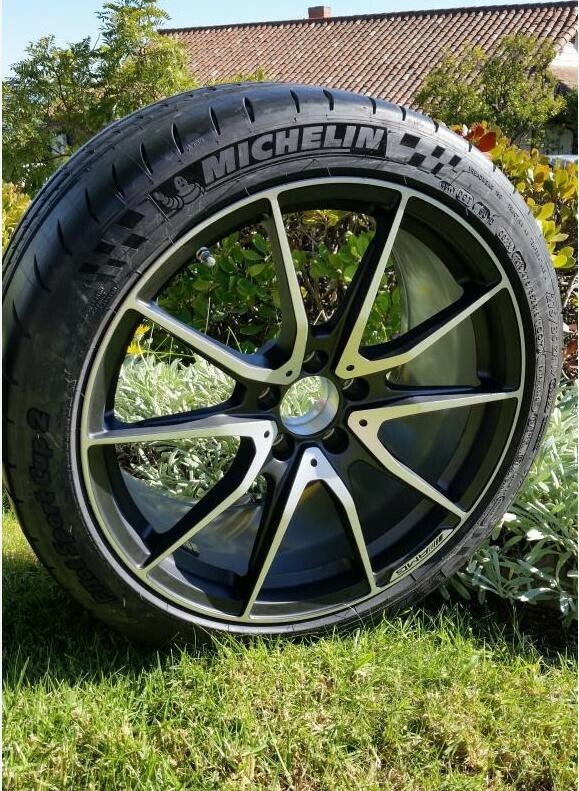 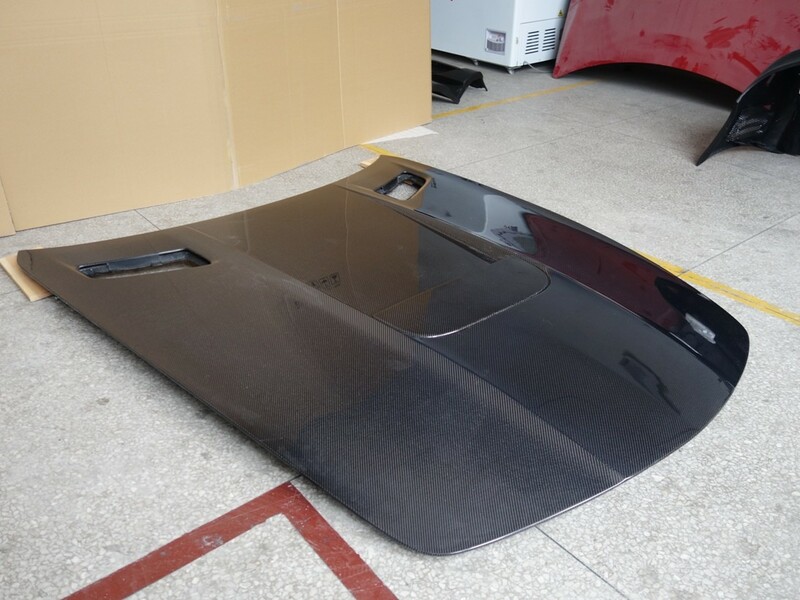 Also available as Non-Widebody kit (with original size Black Series-style front fenders, no rear fender extensions).